This bright, corner three bedroom and three bathroom home at 196 East 75th Street has all the layout and design flexibility a new buyer could only hope for. The gracious entry foyer leads to an open living room with a wall of Eastern facing windows providing open city views and great light all day long. The large living room is adjacent to a windowed library and partially separate dining room, allowing for both intimate entertaining as well as larger parties. The functional kitchen offers ample counter space and easy flow. The new owner also has the option of making these rooms into one spectacular great room for a more modern space.The master bedroom suite has a large walk-in closet and ample additional closet space as well as a generous en-suite master bath. The two additional well-proportioned bedrooms are separated by a Jack and Jill combination dressing room and bathroom. As an added bonus, this wing has a functional windowed, dual workspace/home office. The third bathroom serves wonderfully as a guest powder room and can also double as a dedicated bath for one of the other bedrooms if the added privacy is preferred. There is an abundance of storage and closet space throughout. 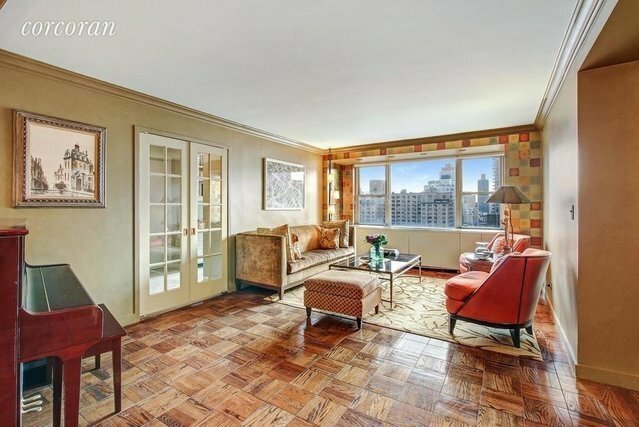 196 East 75th Street is a well-established, full service coop with a full-time doorman, live-in super, garage, and gym. The building is situated in the best location on the Upper East Side across the street from Citarella and surrounded by the best restaurants, boutique shopping and all modes of transportation for your convenience. There is a 2% flip tax paid by the purchaser. The building allows pets and pied-a-terre living.